It’s here — the story of how I quit my job in travel publishing, moved West, and found my mojo. As an in-house editor in New York (Simon & Schuster/Fodor’s and Random House/Fodor’s) and London (Rough Guides), I was privy to the inner workings of guidebook publishing. I rounded out my education as a media insider as the Travel and Food editor at Tucson’s largest daily newspaper, the Arizona Daily Star. As a freelancer, I authored three guidebooks, contributed to dozens of others, and wrote hundreds of articles, many for national publications. I know how unglamorous being a travel writer can be – and how rewarding. More or less in the order in which they were received except this one. That’s Publisher’s Weekly, baby — big time! “Jarolim is smart and funny. She has an irreverent New York sensibility and a breezy writer’s voice, and doesn’t mind telling tales on herself. She was not an “adventure” traveler, but she took risks for a story (riding a dilapidated horse over ice into Copper Canyon, for example; interviewing a squatting male nudist from a swimming pool, for another.). — Ken Lamberton, author of BEYOND DESERT WALLS: Essays from Prison and CHASING ARIZONA: A Centennial Obsession with the Grand Canyon State. Also check out the reviews on Amazon: 55 five-star reviews and counting (and even the four star reviews are glowing)! 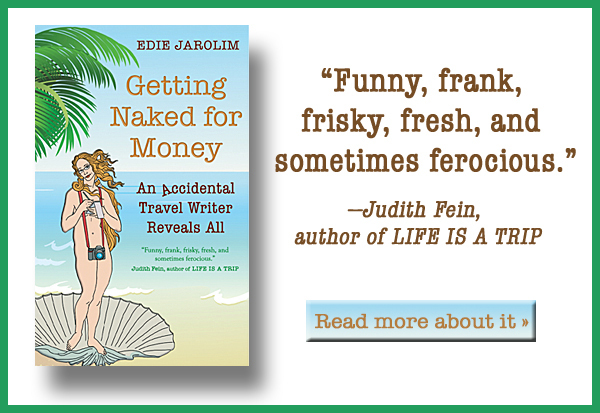 Edie Jarolim earned her Ph.D. in English and American literature from NYU and worked as a guidebook editor at Frommer’s, Rough Guides, and Fodor’s before moving to Arizona to become a freelance writer (or, as her mother might have put it, “You left your good job in New York to go where? To do what?”). 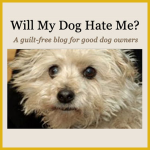 She is the author of three travel guides, Frommer’s San Antonio and Austin, The Complete Idiot’s Travel Guide to Mexico’s Beach Resorts, and Arizona for Dummies, and one dog guide, Am I Boring My Dog? And 99 Other Things Every Dog Wishes You Knew. 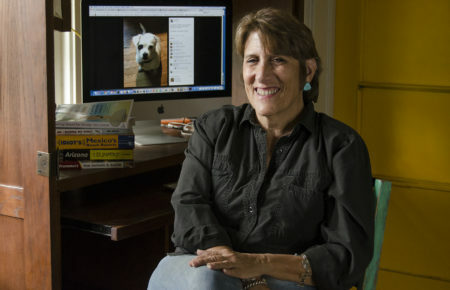 Her articles have appeared in publications ranging from Brides and Sunset to The New York Times Book Review, National Geographic Traveler and The Wall Street Journal. She created three blogs, Will My Dog Hate Me, focussing on all things canine; Freud’s Butcher, devoted to genealogy, psychology, and meat; and EdieJarolim.com, primarily dedicated to discussing writing and publishing, but likely to go off on weird tangents (that’s true of all the blogs, come to think of it). She currently spends most of her time in Tucson, where she is best known as a dining reviewer, but her terrier mix, Madeleine, is showing signs of restlessness. My appearance on KGUN 9’s Morning Blend TV show was notable for the fact that I brought Madeleine with me. I was nervous, but she was a natural. Less stressful for me was the Buckmaster Show. Host Bill Buckmaster is a media icon in Arizona, and a terrific interviewer. He not only read my book before doing the segment, but he is also one of the few people I’ve ever encountered to guess the derivation of my last name. You’ll have to listen to the interview to find out what that is. We observed a wide range of shapes at the nudist resort, from totally toned to way overweight, and ages, from teenagers to septuagenarians….I was riveted by the display of male genitalia. I felt like I was in the produce section of an exotic supermarket—no poking or squeezing, please. The only two main course options at the resort’s restaurant were steak and salmon. Didn’t naturism and vegetarianism go hand-in-hand? Proto-nudists Adam and Eve had followed a plant-based diet before losing their innocence. Then again, they would have been better off on a strict Paleo regimen, eschewing the apple and sautéing the serpent instead. For as long as I can remember, I secretly wanted to be a writer. I also fantasized about visiting far-flung lands. It never occurred to me that I could combine those aspirations—and convince an editor to pick up the tab. The signs were not auspicious. My parents weren’t keen on travel, at least not the voluntary kind. Refugees from Nazi-occupied Vienna, they were in no rush to head back overseas. Early on, I was encouraged by several teachers to believe I might have talent. In fifth grade, Mrs. Chudnoff chose me to helm the P.S. 92 magazine, Hegeman Highlights. My moment of editorial glory was short-lived: The magazine lost its funding almost immediately after I was selected to edit it. By the sixth grade, I already had a taste of the bitter disappointment of having a publication with which I was associated suddenly fold. Some writers can look back proudly at their literary precociousness. Me, I found several entries in a pink diary dating to the days when the Beatles first arrived in the US that read: “Dear Diary, I love Paul. He’s so cute. I wish he would love me. Goodnight, Edie.” If I’d had the strength of character to love John or even George and the originality to choose a diary that wasn’t pink, I’m certain I would have become a writer far sooner. 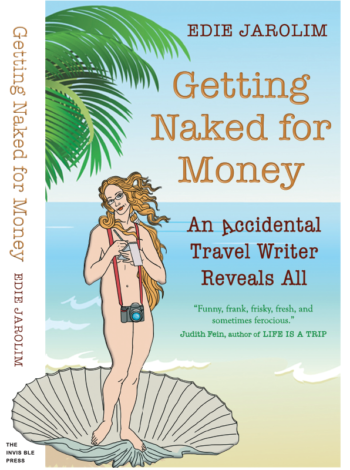 It’s too late to win a copy of my book on the More Time to Travel blog, but it’s never too late to read the Q & A, wherein I give sage advice on How to Be a Travel Writer. What, besides become a writer, was your greatest accomplishment? Learning to drive. I was phobic about it. Once I left public transportation-rich New York City and moved West, I had to get over my fear of driving if I wanted to be independent and to pursue a travel writing career. At first, I missed the reading I used to do on the subway, but the arrival of audio books solved that problem. For the rest, click on the Q & A pdf. I’ve also put up a virtual press kit on DropBox, so you can see everything in one place. Check it out. Available on Amazon in print and Kindle editions. 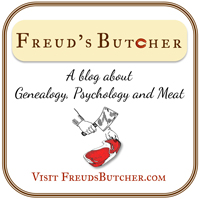 Sign up for emailed blog updates for more info.